One of the better known parts of the famous 5th century Buddhist compendium “Path to Purity” by the scholar monk and commentator Ven. Buddhaghosa deals with concentration meditation and the steps necessary to get meditation instructions from an experienced teacher. 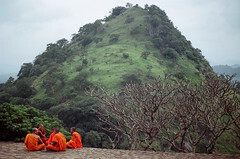 The Path to Purity or Visuddhimagga is by many considered to be the main Theravadan authority when it comes to interpreting the teachings of the Buddha or dealing with abstract philosophical concepts. But, very much like the commentaries themselves, the Visuddhimagga recorded many stories and practical knowledge of ancient meditation masters – information which is hidden (or better: mixed into) in the dry scholastic book, buried in-between long and boring theoretical exegesis. Especially Buddhaghosa’s detailed summary of sources regarding tranquility meditation played and plays an important part – not just in Theravada meditation and its modern revival – but also other Buddhist schools like ZEN, which heavily borrowed on the pragmatic knowledge found in this first Buddhist “textbook” on the “Path to Enlightenment”. Did you know that? In Vism. III, 53. which deals with the hindrances one has to overcome before successfully mastering the 4 jhanas, Buddhaghosa relates a story from the past – a story of a famous young monk. In the Great Monastery [Mahavihara] too the Elder Tipitaka-Cula-Abhaya had the golden drum struck, saying: “I shall expound the three Pitakas in the circle of [experts in] the Five Collections of discourses”, and this was before he had learnt the commentaries. The community of the Bhikkhus (monks) said: “Which teachers’ teaching is it? Unless you give only the teaching of our own teachers we shall not let you speak”. Also his preceptor asked him when he went to wait on him: “Did you have the drum beaten, friend?” – “Yes, venerable Sir” – “For what reason?” – “I shall expound the scriptures, venerable sir” – “Friend Abhaya, how do the teachers explain this passage?” – “They explain it in this way, venerable sir” – The Elder dissented, saying “Hum”. Again three times, each time in a different way, he said “They explain it in this way, venerable sir”. The elder always dissented, saying “hum”. Then he said: “Friend, your first explanation was the way of the teachers. But it is because you have not actually learnt it from the teachers’ lips that you are unable to maintain that the teachers say such and such. Go and learn it from our own teachers.” – “Where shall i go to, venerable sir?” – “There is an Elder named Maha-Dhammarakkhita living in the Tuladhara Mountain Monastery in the Rohana country beyond the Mahaveli river. He knows all the scriptures. Go to him.” – Saying ‘Good venerable sir’, he paid homage to the Elder. He went with five hundred bhikkhus to the Elder Maha-Dhammarakkhita and when he had paid homage to him, he sat down. Now it is interesting to see, that the explanations of this young monk (we learn a little bit later that they come from his own personal experience) are essentially in line with what the monks regarded as the “tradition of the teachers”. 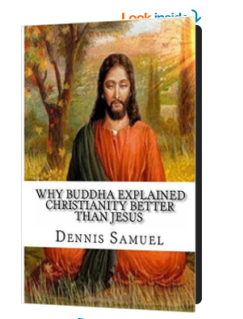 But, they were in his own words and while he, speaking out of his own experience, was able to expound the teaching of the Buddha by his own practical insights, his teacher did not let him go. The Elder Maha-Dhammarakkhita asked: “Why have you come?” – “To hear the Dhamma, venerable Sir” – “Friend Abhaya, they ask me about the Digha and the Majjhima from time to time, but i have not looked at the others [parts of the Tripitaka, that is] for thirty years. Still you may repeat them in my presence by night and i shall explain them to you [according to the commentaries] by day.” – “Good, venerable Sir”, and he acted accordingly. The inhabitants of the village had a large pavilion built at the door of his dwelling, and they came daily to hear the Dhamma. Explaining by day what had been repeated by night, the Elder Dhammarakkhita eventually completed the instruction. Isn’t that just beautiful? 🙂 Now, this young monk was sent here, after some personal meditative breakthrough, probably practicing insight meditation. Suddenly, looking back at the Buddha’s words he had memorized, everything seemed to make sense and fall in place, so he beat the drum to share some of his understandings with his fellow monks only to find out that they were reluctant to grant him the status of a teacher and made his preceptor send him on an “extracurricular course” so that if he was going to explain the Buddha’s words he would at least use the same repartoire as tradition saw fit, and not interpret the Dhamma through his own experience (which, most Buddhist schools did, and if we look at ZEN, saw as the pinnacle of a teachers capabilities). No, not here. So off he goes, humble, learning from another accomplished “book monk” even the traditional way of explanation only to find out that this monk had never been able to actually REALIZE what he memorized. 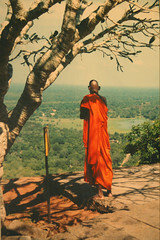 When the Elder Abhaya had given his teacher a meditation subject, he returned to Anuradhapura. Later, while he was expounding the Dhamma in the Brazen Palace, he heard that the Elder Dhammarakkhita had attained nibbana. On hearing this, he said: “Bring me my robe, friends”. Then he put on his robe and said: “The Arahant path befits our teacher, friends. Our teacher was a true thoroughbred. He sat down on a mat before his own pupil and said “Explain a meditation subject to me”. The Arahant path befits our teacher, friends”. For such as these books are no impediment. Some excerpts from the Visuddhimagga. Looking to buy a copy of the Visuddhimagga?